One of my favorite Easter sweets is panna cotta, or Italian “cooked cream.” It’s an eggless custard that is silky-smooth and so easy to make. In fact, David Lebovitz writes that if it takes you more than 5 minutes to put it together, you’re doing something wrong. If you haven’t yet tried to make custard, crème brulée or flan, panna cotta is the recipe to try first. Our easy version for Easter, Butterfinger Panna Cotta Nests, uses items you already have in your pantry, since it replaces the cream with evaporated milk. That also lowers the fat and increases the nutrients! This dish has to be made in advance so it can set in the refrigerator, leaving you free on the day of the meal to entertain or cook other dishes. Putting the ingredients together and warming them in a pan are a snap, and the shredded coconut egg nests on top are perfect for a pretty Easter table. Panna cotta is also an extremely versatile recipe. You can experiment and make your own version by adding lemon or orange zest, almond extract or even spices like saffron, pepper or rosemary. Here are some panna cotta recipes we love using chocolate and amaretto, as well as pumpkin spice and chocolate pistachio. GREASE four 6-ounce or six 4-ounce ramekins or custard cups. PLACE water in a small bowl; add gelatin and let stand to soften. PLACE evaporated milk, sugar and vanilla extract in a small saucepan. Heat over medium heat, stirring frequently, for about 5 minutes or until sugar is dissolved. Turn off heat. Add gelatin mixture; stir gently to dissolve gelatin. POUR into prepared ramekins; sprinkle with crushed Butterfinger. REFRIGERATE for 2 hours or until panna cottas are firm. PLACE coconut in a resealable bag. Add green and yellow food coloring; seal bag and shake to thoroughly mix. If necessary, add 1 to 2 teaspoons of water to help color mix. 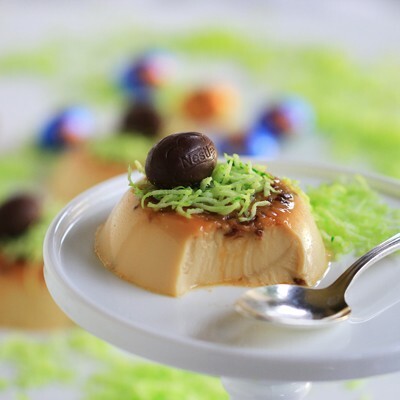 TOP panna cottas with coconut “grass”; top with 1 to 2 unwrapped Nestlé NestEggs. Scrumptious Italian dessert with chocolate for spring or Easter! September 30 is the last day of California Wine Month so I thought I’d pair one of my favorite Italian sauces (as in the Tortellini with Pesto and Sun-dried Tomatoes above) with some California white wines made from Italian varietals. 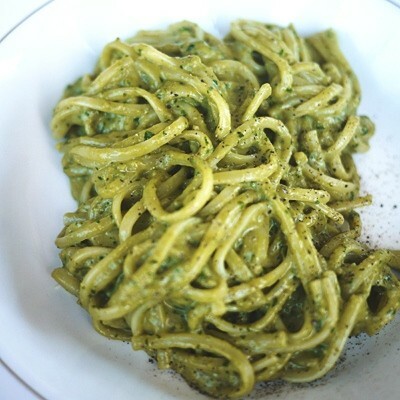 And I added a twist to the pesto that I learned from Luce, one of Bon Appetit’s top 10 best new restaurants in America. The pesto at Luce was made with basil, avocado, almonds, walnuts and garlic. This is pesto in Southern Italy. And it was incredible! The avocado replaces the olive oil, making the dish lighter, full of flavor and oh-so-good for your skin. 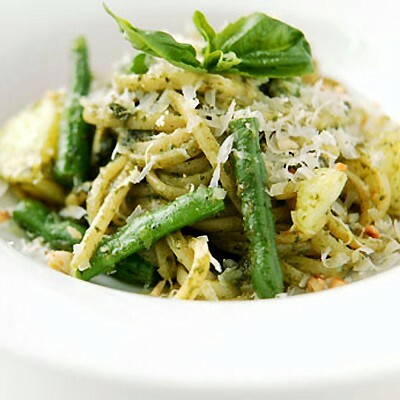 To make this easy on me to make at home, I used Buitoni pesto as a base, placing about half the container of pesto in a bowl, then mixing in one whole ripe avocado and serving it over al dente pasta. A perfect late summer meal. I wanted to pair this with an Italian varietal made in California, and I found 2 wines that worked perfectly. Arneis from Palmina Wines has a bright lemony quality, and enough acid to zip along your tongue with the pesto, cutting the oils and balancing the meal perfectly. Another wine, Bianchetto from Moretti Wines is a blend of 3 Italian varietals from different regions: Arneis, Malvasia Bianca and Tocai Friulano. You won’t see this blend in Italy, but it’s lovely flowery nose and fruit and acid balance also really enhanced the dish. I love to try to incorporate as many vegetables as possible into my meals – after all, how many of us actually get the recommended dose of veggies at each meal? So when I found out about National Linguine Day, I decided to find some linguine + vegetable recipes, and also try pairing wine with them. 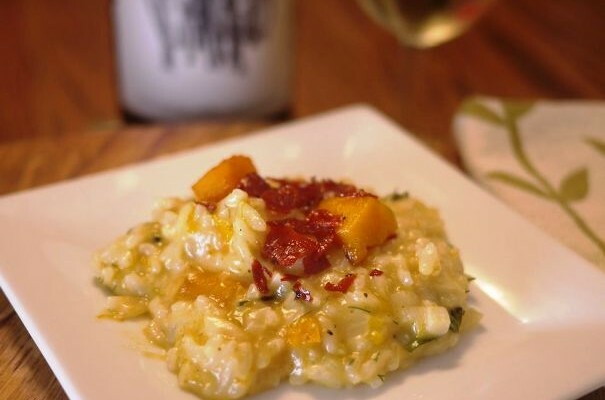 Well, I found 2 great recipes – super easy version and look-like-a-chef version – plus 1 great wine to go with them both. Both recipes use one of my favorite vegetables, artichoke, which is a difficult food to pair with wine, but what wine goes with artichoke, pesto, green beans and lemon? I found the winning varietal…read below to find out! GRILL artichokes over medium heat until lightly browned. Alternatively, place on baking sheet, cut-side-up and position 6 inches from broiler. Broil for about 3 minutes or until lightly browned. BRING water to a boil in large pot; add linguine. Cook for 1 minute. Drain, reserving ¼ cup cooking water. HEAT oil in large skillet over medium heat. Add garlic; cook for 1 minute or until fragrant (the garlic should not brown). Stir in wine and cook for about 4 minutes or until slightly reduced. Add lemon juice, lemon peel, parsley, chives, tarragon, salt and pepper; cook for about 1 minute or until mixture is heated through. ADD cooked linguine to skillet along with reserved cooking water and Parmesan cheese. Toss gently to coat. Toss in artichoke hearts. 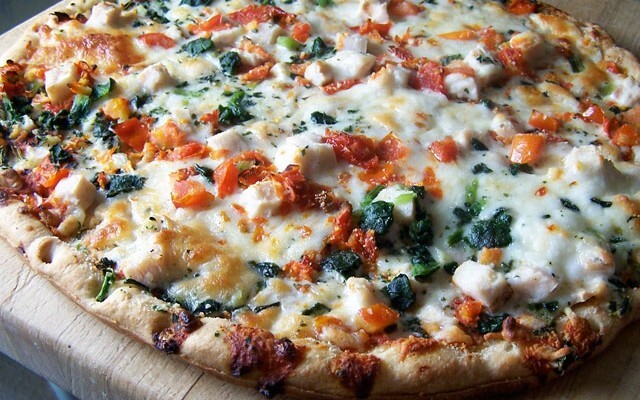 Serve immediately with additional extra virgin olive oil and Parmesan cheese, if desired. You need a wine with high acidity to pair with artichokes and something from Italy to match the food style. 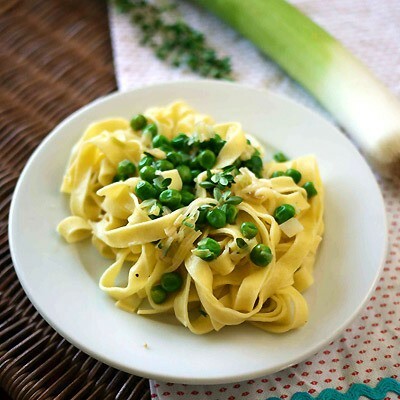 And a white wine since it’s a late summer dinner, pretty light with green vegetables and plenty of freshness. A Verdicchio is perfect for this! It’s crisp and snappy, matching the acidity of the artichokes and lemon, and creating some summer sizzle in your mouth. A last hurrah to the sun. Each broken heart needs a specific fix: those induced by college athletes call for cigarettes, those from French men require fast-food burgers and stadium hot dogs, and from the tall and beautiful Swedes, plenty of Häagen-Dazs ice cream. So, what would ease the pain caused by an Italian-born food & wine snob, who, when given any ingredient, can tell you the right way to cook it, and helpfully correct any dish you’ll ever cook, especially Italian food? Frozen pizza from the supermarket, that’s what. The new-age vegetarian kind, from the neighborhood gourmet grocer. I opened the frozen whole-wheat rolled-crust pizza with roasted vegetables, tofu and goat cheese, cooked it to crispy perfection directly on the oven rack, and defiantly put the whole pie on my plate. Eating the entire thing – and forgetting the Italian snob – was gonna take a lot of wine, so I opened a bottle of California Sangiovese; bold enough for California pizza and enough fruit and alcohol to repel him and his palate. He’s not the only one who can deliver a perfect pairing. As frozen pizzas go, this one was surprisingly good. The vegetables tasted fresh, the crust was crispy and flavorful and the goat cheese added the perfect amount of tanginess. It was satisfyingly familiar, comforting and just a bit unexpected, which was more than I could say for him. As I finished the last crumbs on my plate, licking my fingers and draining my glass, I was smiling. I decided to keep this frozen pizza close to my heart, or at least in my freezer, at all times. Heart aches don’t stand a chance in my kitchen, no matter where they come from.